In a decision dated January 2, 2015, the Hearings and Mediation Group, Intellectual Property Office of Singapore (IPOS), declared registration of the trademark under number T1005905C, invalid. Redsun Singapore Pte. Ltd (Applicant) had filed with the IPOS an application for a declaration of invalidity against the trademark registration in the name of Tsung-Tse Hsieh (Proprietor). SGIPOS1. The Applicant had previously obtained a judgment from the High Court against the Proprietor for passing off, although this was based on a procedural failure of the Proprietor to exchange its affidavit with the Applicant, rather than the elements of passing off being established. In the present case, the Applicant had initially sought to invalidate the Proprietor’s mark on the grounds of similarity under Section 8(2)(b) of the Trade Marks Act. 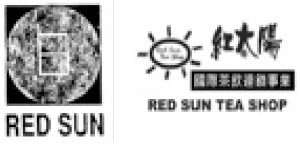 While the marks appear to be similar, given that both have the common denominator of “RED SUN,” it was held that because they were registered in different classes and for different goods, there was no likelihood of confusion between the two. Hence, the Applicant failed on this ground. However, the Applicant was able to invalidate successfully the Proprietor’s registration on the grounds of passing off based on Section 8(7)(a) of the Trade Marks Act. The Applicant had adduced evidence of use and promotion of its mark, RED SUN, in the social media, print media and on air over the radio. Additionally, it had further given evidence showing its annual sales revenue as well as expenses incurred for advertising and promotion. Based on this evidence, it was determined that the Applicant had established goodwill in the business of selling tea and health supplements under the RED SUN mark. Here, the Applicant sold tea in unprepared forms, while the Proprietor sold ready-to-drink bubble tea through an outlet in Singapore. Nevertheless, as both were selling tea, regardless of the form, the Applicant had proved that it was normal practice for businesses selling unprepared beverages to expand into the field of selling prepared beverages and vice versa. Given the similarity of the appearances of both products, the element of misrepresentation was made out. Damages were determined by the fact that the Proprietor’s activity meant that the Applicant would be prevented from expanding into the field of commercial activity in which the Proprietor was already active. This case illustrates how a trademark registration can be invalidated if a claim for passing off based on earlier use of another mark is successfully made against the later mark.